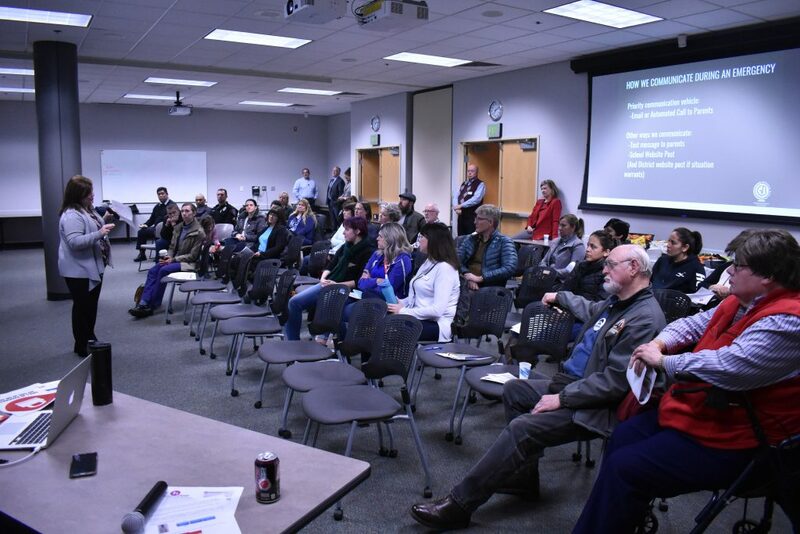 Last month, Gresham-Barlow School District held a School Safety Town Hall in partnership with the Gresham Police Department. 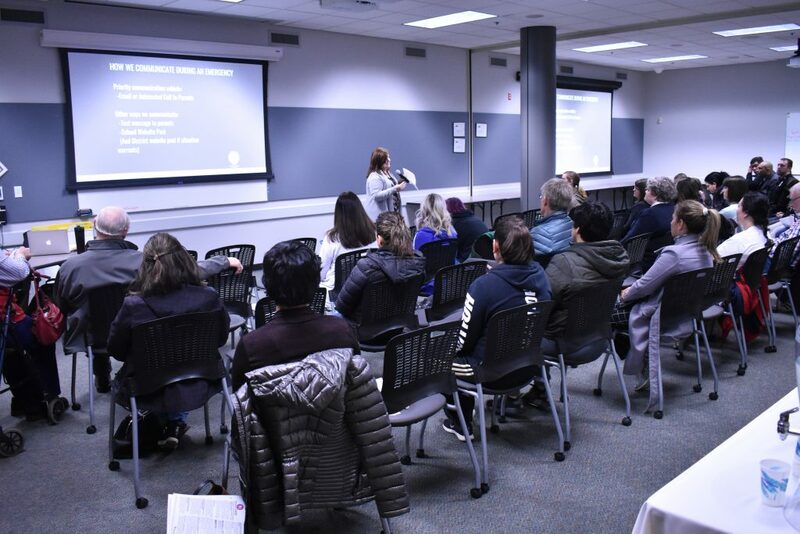 The event, hosted at Gresham City Hall, provided parents and the broader community information about how the School District is continuing to improve student safety. The short presentation included videos explaining how the district responds in the event of any emergency or incident, and handles crisis-related communications. 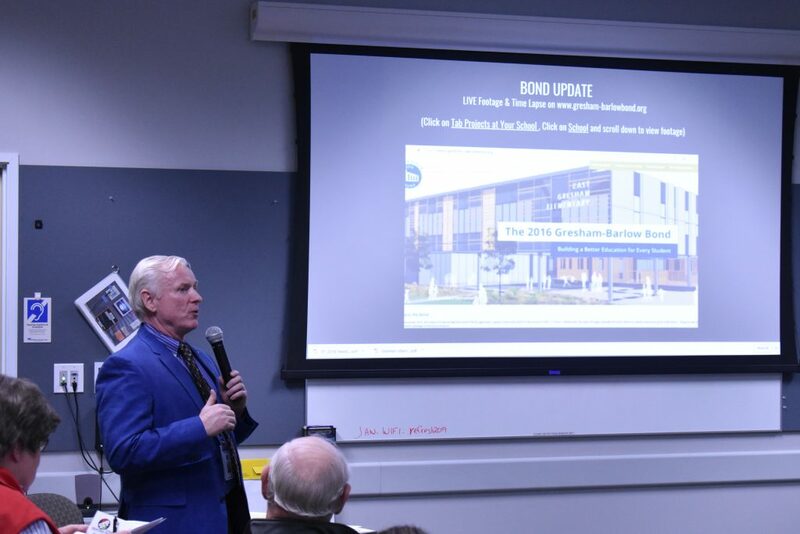 It concluded with information about the ongoing safety improvements funded by the school bond. Voters in 2016 passed the Gresham-Barlow School Bond, which raises over $291 million for major renovations at schools across the district. Safety and security investments are a top priority for the bond. 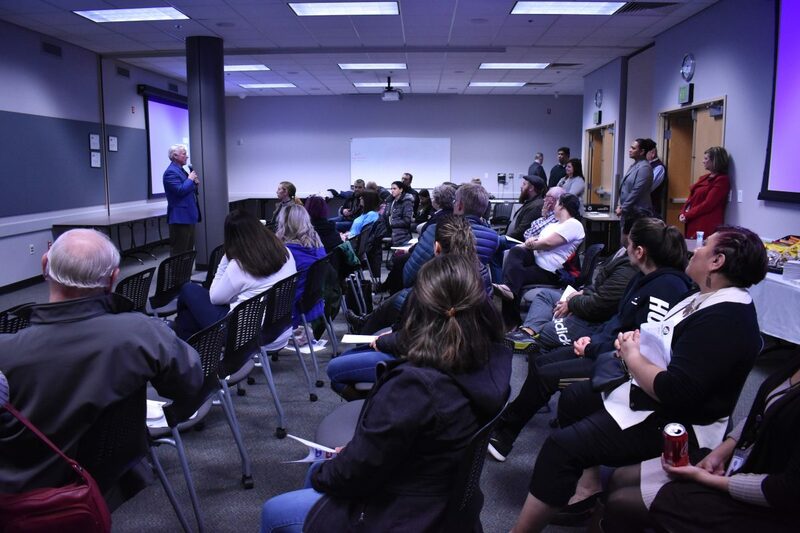 The district has worked closely with security specialists to outline a series of investments, from internally locking classroom doors to improved front entrances and security cameras, that will ensure every Gresham student has a safe learning environment. Kevin Sutherland is Gresham-Barlow’s new Director of district safety and security. Kevin Sutherland, the district’s new director of district safety and security, spoke at the event. 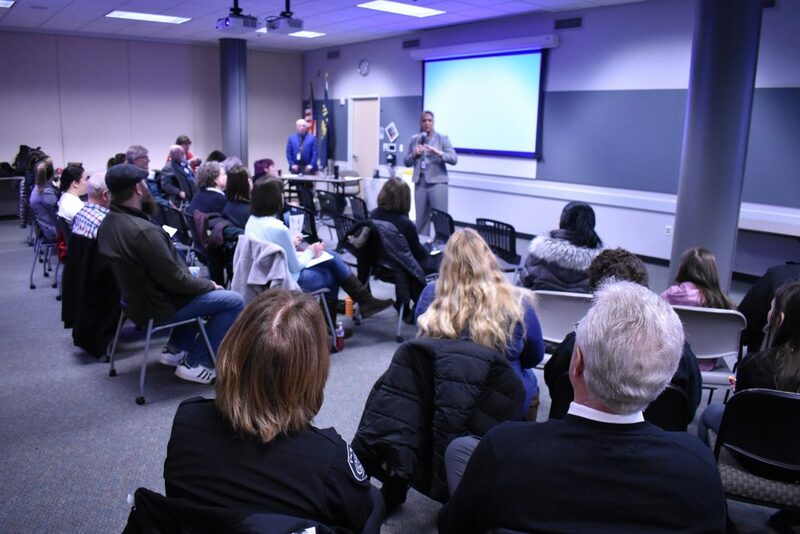 Sutherland is a former Marine, and at the town hall event he explained to the audience the best practices of how school districts respond to incidents. In particular, he emphasized how the district was refining their “reunification” plans, in which the district reunites students with families after an emergency. “The turnout was amazing. It tells me that when you are talking about people’s kids, it strikes a chord with them,” said Sells. Chief Robin Sells has been with the Gresham Police Department for four years. She attended the Town Hall, and said that she appreciated the ongoing commitment the district has made to collaborating with local law enforcement. 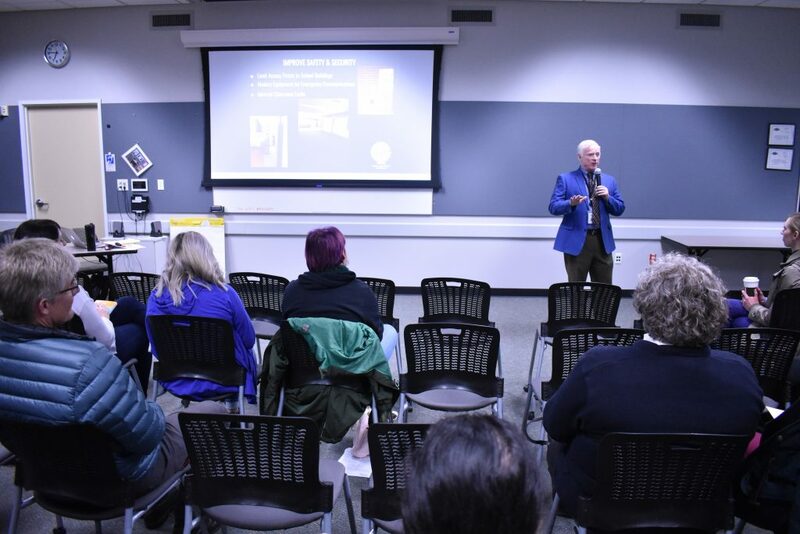 Sutherland was recently profiled in an article in the Gresham Outlook, and noted that he’s been in direct collaboration with law enforcement from the city of Gresham, Multnomah County, and Clackamas County. Chief Sells emphasized the importance of the collaboration between government agencies, noting the relationships built between the district and police department improve public safety. “It is a good partnership. We work together and we have the common goal of keeping our community safe,” she said.